Jernigan Photography was founded in 1957 by Charles Jernigan, who for twenty five years, created portraits of the highest quality. Charlie joined the business in 1978, studied under his dad's tutelage for four years and assumed the reins of the company in 1982. Through the years Charlie narrowed the focus of his photography to primarily babies, children, families and high school seniors. By concentrating only on these types of portraits and incorporating a sense of art, composition, lighting and design, he strives to create top quality images that 'truly' capture the moment. Charlie has two primary goals that he hopes to achieve with every client. One, he certainly wants to create portraits that evoke emotion and capture the expressions that parents know and love. And two, he wants the entire portrait experience from beginning to end to be relaxing, productive and fun. 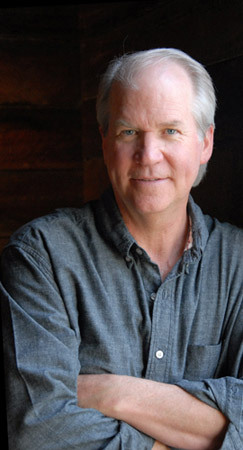 Charlie is involved in several state, regional and national photography associations. From the Professional Photographers of America, he earned the prestigious 'Master of Photography' degree, which only 5% of its entire membership has achieved. As we begin our second fifty years, we want to reinforce our mission to deliver excellent images coupled with unparalleled service from start to finish. We invite you to visit us here and at our studio/gallery in Opelika.